This post is sponsored by the Ohio Beef Council. All opinions are, as always, 100% my own. It has been quite some time since I have had the motivation in the kitchen to try something out of the ordinary. You would think being a food blogger I would be experimenting in the kitchen left and right. To be completely honest, in recent months I have shied away from any recipe that has seemed too experimental simply because I haven’t had the time or energy to really sink my teeth into a culinary project. This is a hard thing for me to admit. I miss trying new things in the kitchen. I miss trying (and often failing) to create items completely from scratch – just to see if I can. More than anything, I miss WANTING to try new things in the kitchen. Lately it’s been what is quick and easy and what I know will work out because I don’t have the mental energy to deal with coming up with plan B when things don’t go well. This is not who I want to be. As we’ve been gearing up for school I have felt the faintest spark of inspiration with my cooking. The desire to research something that is completely foreign to me and see what it’s all about. That spark is my lifeline in the kitchen. I have been yearning to see that spark and I’m grabbing hold and not letting go. 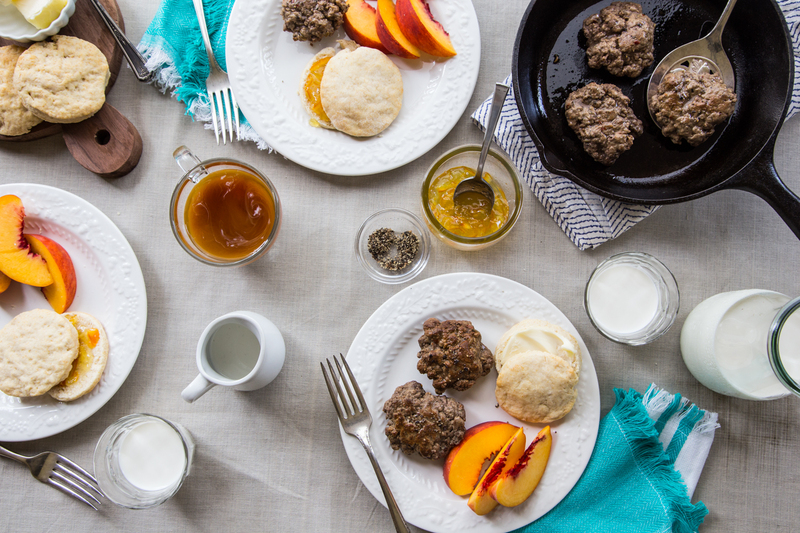 It’s because of this that I am so freaking proud to share with you this recipe for homemade beef breakfast sausage. That’s right, my friends. I MADE sausage. To some of you that might seem like a small task (and if you read on, you will realize just how simple the whole thing actually is) but hear me when I say this: two, three, even four months ago I would not have dreamed of tackling a homemade sausage recipe. Just the idea of making sausage would have made my head swim. But I am hear to tell you that I tackled this project. I did my research and checked out Alton Brown’s method for making country breakfast sausage, as well as the Blendtec’s website on how to make sausage in a Blendtec (I do not own a meat grinder). I even checked out a great demo video by the Blender Babes. After all of my research and deciding the flavors I like in my own sausage, I made this beef breakfast sausage and it was truly some of the tastiest that I’ve ever had. 1. I ground the meat myself (I know. I’m not messing around here). Let me tell you a few things that I learned in the process. First, I don’t have a meat grinder, but rather I used my Blendtec. I know, it sounds crazy, but if you work with properly chilled meat, a cold blender jar, and keep the batches small you will end up with some seriously beautiful sausage. Then it was on to patty forming and pan frying. That’s it! I actually made a big batch this weekend to reheat throughout the week with toast and fruit for a breakfast that packs a huge protein kick. Something to give the kiddos the energy they need to get through the day. Tackling this cooking project helped shake the dust off of me in the kitchen. If you are struggling with a similar spell, I hope this can be a spark of inspiration for you. 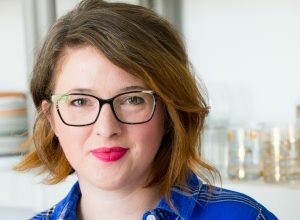 I would love to hear about any projects you’re thinking about tackling in the kitchen and hopefully we can be an inspiration to each other to never let the creativity and curiosity fade when it comes to food. 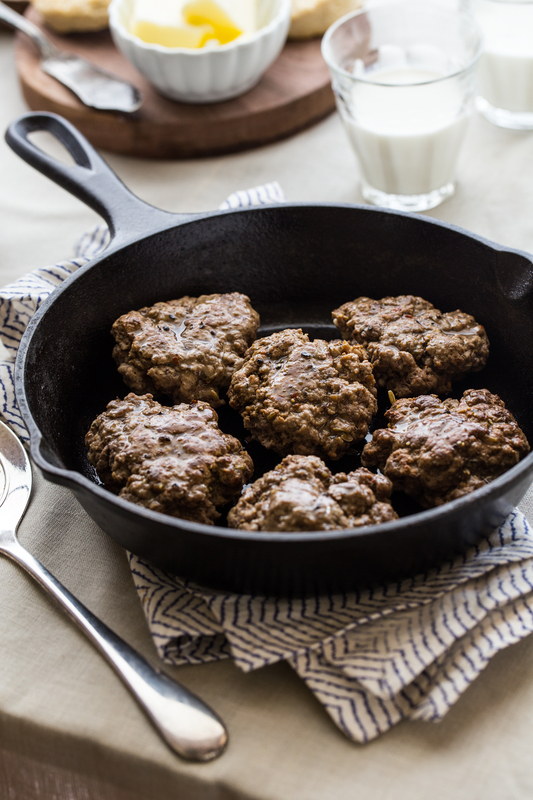 I’m happy to be sharing my homemade beef breakfast sausage recipe today in conjunction with the Ohio Beef Council Back to School Recipe Exchange. 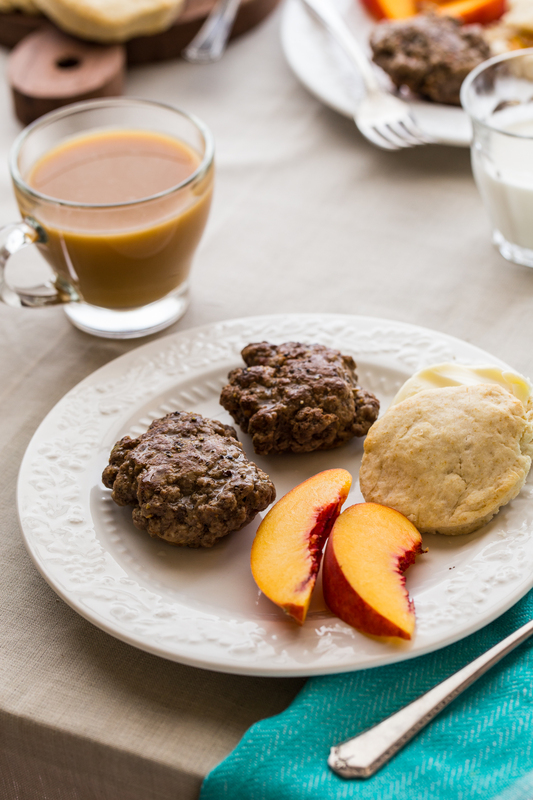 The protein from beef fits perfectly in any meal of the day and I am looking forward to starting off my kiddos’ first week of school with breakfasts full of beef breakfast sausage! In a large bowl, toss together beef and seasonings until well coated. Cover and chill for 1-2 hours. Working in small batches, add beef to the Blendtec, cover, and pulse about 10 times or until beef is a good consistancy and fat is dispursed well. If using a meat grinder, follow meat grinder instructions. Discard any large pieces of fat that were not ground up. Don't have a meat grinder or Blendtec or don't want to bother grinding your own beef? No problem! Simply use a pre-ground beef in place of the Chuckeye Roast. Be sure to choose a ground beef with a higher fat content. Season the ground beef with the seasoning mixture as described above and refrigerate for 1-2 hours before forming the patties and cooking. Enjoy! method adapted from Alton Brown, Blendtec, and Blender Babes. I’m so impressed that you ground your own beef!! Wow! Homemade sausage is the best, though! Pinned and sharing. Mmmmm this looks amazin’! I never would have thought of making breakfast sausage myself.